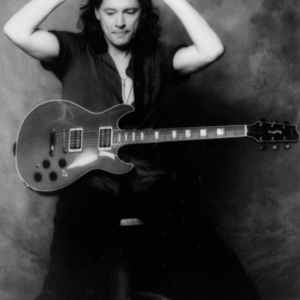 Robben Ford (born December 16, 1951) is a blues, jazz and rock guitarist with a diverse career. He was born in Woodlake, California and raised in Ukiah. He taught himself guitar when he was 13 and considered his first influence to be Mike Bloomfield. At 18 he moved to San Francisco to form the Charles Ford Blues Band (named after his father, who was also a guitarist) featuring his brothers Mark (mouth harp) and Patrick (drums). He was born in Woodlake, California and raised in Ukiah. He taught himself guitar when he was 13 and considered his first influence to be Mike Bloomfield. At 18 he moved to San Francisco to form the Charles Ford Blues Band (named after his father, who was also a guitarist) featuring his brothers Mark (mouth harp) and Patrick (drums). Robben was soon hired to play with Charles Musselwhite for nine months. Robben Ford played with Jimmy Witherspoon (1972-1973), the L.A. Express with Tom Scott (1974), George Harrison and Joni Mitchell. In 1977 he was a founding member of the Yellowjackets, which he stayed with until 1983, simultaneously having a solo career and working as a session guitarist. In 1986, Ford toured with Miles Davis and he had two separate periods (1985 and 1987) with Sadao Watanabe, but he seemed to really find himself in 1992 when he returned to his roots: the blues. Ford formed a new group, the Blue Line, and subsequently recorded a couple of blues-rock dates for Stretch that are among the finest of his career. In 1999, he released Sunrise on Rhino and Supernatural on Blue Thumb. Ford signed to the Concord Jazz label in 2002 and released Blue Moon that same year, followed by Keep on Running in 2003 and Truth in 2007. Robben Ford whilst continuing to record solo albums has been touring in 2007 with guitar legend Larry Carlton.